There is now just over a week until the 2nd annual Ukrainian Agribusiness Forum, which is taking place on 28th November at the Hilton Kyiv. 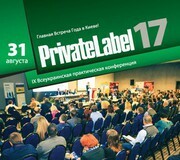 Close to 150 senior agrarian executives will gather to discuss investment opportunities as Ukraine cements its position as a key player on global agro-industrial markets. November 9 – 10, 2017 in SHEE “Vadym Hetman Kyiv National Economic University” (Kyiv, Ukraine) the international scientific-practical conference "Agribusiness in Ukraine: global challenges and role of economic science" will take place.